04 Apr 2019 --- The European Commission (EC) has opened an in-depth investigation into tax policies in the food retail sector in Slovakia. The tax currently adopted applies to food retailers that operate in the country and came into force on January 1, 2019, meaning the first payment would have been due by the end of April. However, the EC has since suspended the tax pending the result of its probe. Concerns have been raised over whether certain exemptions from the tax gave some retailers a selective advantage over their competitors, in breach of EU State aid rules. “The Commission has also issued an injunction, requiring Slovakia to suspend the application of the measure,” says an EC statement. The investigation gives interested third parties the chance to comment on the measures under assessment, according to the EC. The construction of the tax meant it would be paid only by seven food retailers, six of which were foreign-owned. The only Slovak-owned retailer subject to the tax would have a significant part of its turnover exempted. Under the tax, food retailers would pay a quarterly tax amounting to 2.5 percent of their total turnover. However, food retailers would be fully or partially exempted from the payment of the tax, if they fulfill one of several conditions concerning their size, the geographic scope of operation in Slovakia and/or the type of activities. Additionally, retailers that are members of trading alliances or franchises would not pay the tax, despite the fact that their combined turnover is comparable to that of the largest retailers. Slovakia did not notify the tax to the Commission. The EC’s investigation was prompted following “information it received from stakeholders” and after receiving a formal complaint in December 2018 alleging that the Slovak retail tax is in breach of EU State aid rules. Moreover, EuroCommerce, the retail, wholesale and international trade representation to the EU, has lodged two complaints to the EC against the new tax on retailers. “International retail companies have invested billions of euros in offering Slovak consumers modern, competitive supermarkets with a wide range of quality products. Despite this, Slovak legislators consciously chose to focus on foreign-owned retailers and to exempt virtually all Slovak competitors, with the clear objective of deterring foreign investors. This deliberate move will unavoidably mean less choice and higher prices for Slovak consumers,” says EuroCommerce Director-General Christian Verschueren. He claims that this law is part of a wider and growing trend of protectionism and populist policies against retailers, especially in Central and Eastern Europe, and will have significant consequences for future investment in Slovakia. These member states are seeking to control the way our members do business, restrict what they sell and levy disproportionate fines, according to Verschueren “This is all aimed at protecting local competitors and driving out foreign companies. These countries benefit greatly from the single market, yet want to disapply it when it suits them politically,” he adds. 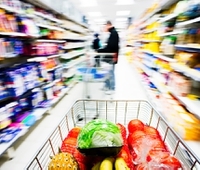 Grocery retailers’ margins are typically less than 3 percent, Verschueren highlights. “A 2.5 percent tax on turnover, therefore, wipes out their profits, and forces them into making a loss,” he notes. The Commission encourages member states to ensure a level playing field with all business sectors, ensuring that any specific tax is justified and does not unduly put at a disadvantage certain retailers. In addition, regulatory measures which in practice differentiate between retailers, including between foreign and domestic ones, may artificially shape the retail landscape and hinder the Single Market integration. Application of less restrictive measures contributes to a better performing retail sector, benefits consumers and has positive spillover effects on manufacturing and other sectors, notes the EC.